Two iconic jazz treasures of our times perform together in three incredible nights this month in Seattle. 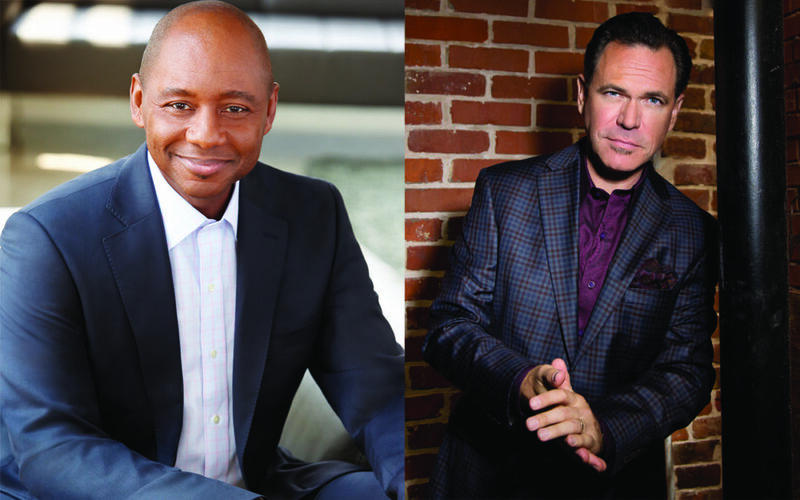 On February 17-19, the Triple Door presents the Branford Marsalis Quartet with special guest, award-winning vocalist Kurt Elling. Branford Marsalis has stayed the course. From his early acclaim as a saxophonist bringing new energy and new audiences to the jazz art, he has refined and expanded his talents and his horizons as a musician, composer, bandleader and educator – a 21st Century mainstay of artistic excellence. Grammy winner Kurt Elling is among the world’s foremost jazz vocalists. He has won every DownBeat Critics Poll for the last 14 years and has been named “Male Singer of the Year” by the Jazz Journalists Association on eight occasions. It is no secret that the Branford Marsalis Quartet can be as freewheeling off the bandstand as in performance. Saxophonist Marsalis, pianist Joey Calderazzo, bassist Eric Revis, and drummer Justin Faulkner are each bold personalities with strong opinions, equally intense in both musical and verbal exchanges. One of these conversations led to Upward Spiral, the new album with special guest Elling, released last June via OKeh Records. What emerged is a collection that blends Songbook staples, jazz standards, and standards-to-be from a diverse array of composers.